Registering a U.S. federal trademark will likely cost between $225 and $2,000. The trademark cost if you file yourself will cost at a minimum of $225. The trademark cost using an online service will cost around $500. The trademark cost using a trademark attorney will likely cost around $1,500 to $2,000. If you want to save money on a trademark attorney, check out LawTrades. They have a team of expert trademark attorneys who will do the research to make sure the mark isn’t already taken, and ensure that your filing is accepted. Plans start at just $50 per month and you get your first month free. In this guide we’ll go through each method and each factor that might impact the cost of trademark registration. Below we’ll go into detail of each of these methods and related cost factors. Regardless of what method you use to register your trademark you will have to pay for U.S. Patent and Trademark Office (USPTO) fees so it’s good to go through this first and understand the related factors that might affect the cost of registering your trademark. 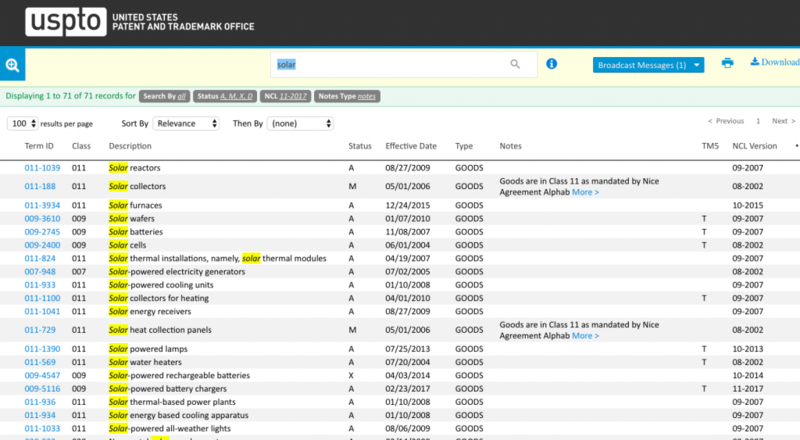 Before you file you should do a trademark search for conflicts. You can do this using the USPTO’s free tool called the Trademark Electronic Search System (TESS). The USPTO charges $225, $275, or $400 depending on what form you file. You can file electronically through the USPTO online system: the Trademark Electronic Application System (TEAS) or via paper through the mail. 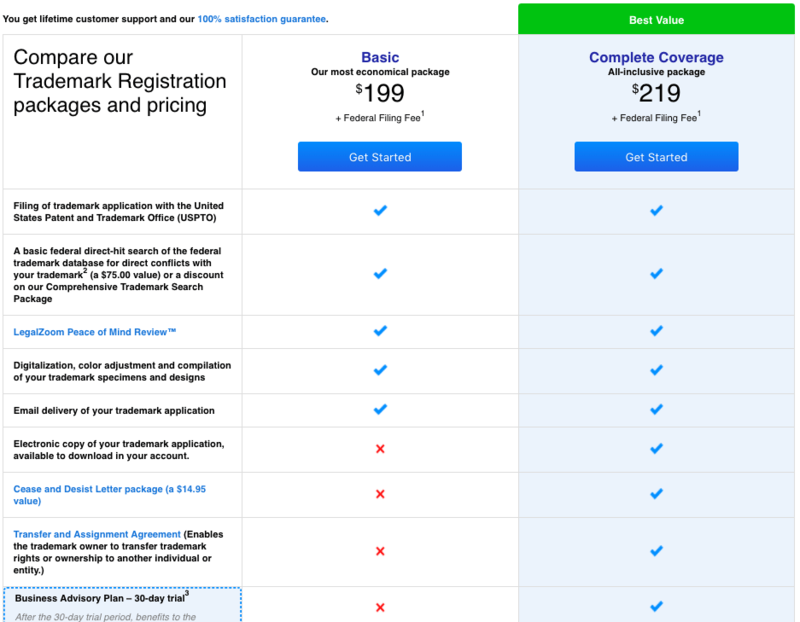 Basically the cheapest option, TEAS Plus, requires electronic filing and has additional requirements in the application including goods/services listings, prepayment, additional statements. 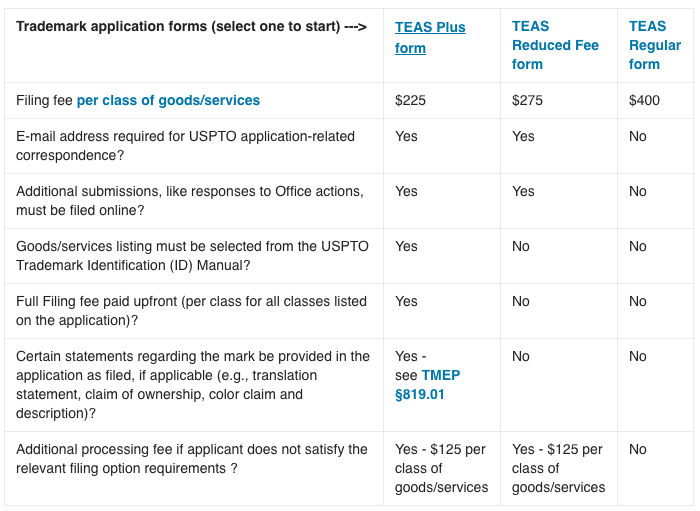 The middle option, TEAS Reduced Fee, requires electronic filing but has fewer requirements than TEAS Plus. The most expensive option, TEAS Regular, has no additional requirements and allows paper filing. A standard character drawing protects against all text use of your trademark. So the standard character trademark of “Google” protects Google from infringement regardless of font, color, context, etc. A special form trademark of the familiar Google logo does not protect them from someone using the word “Google” in their business or product text. So most businesses will trademark both the text version of their name and the visual use of the name separately. Thus driving up the cost of trademarks. A “Class” in the context of trademarks refers a list of 42 international goods and services areas managed by the World Intellectual Property Organization (WIPO). For example Chemicals versus Paint, So for example if Tesla wants to trademark its name in both the automobile industry and the solar roofing supply industry they must file two separate trademarks applications. Again driving up trademark costs if you want to apply your trademark in multiple, potentially adjacent, industries. You can see the list here. Another fee the USPTO imposes for 2 of their 3 application forms is a $125 fee for a resubmission due incorrect or incomplete application. This often cited as potential money saving advantage in using an experienced trademark lawyer. We’ll discuss how to avoid mistakes in more detail below. 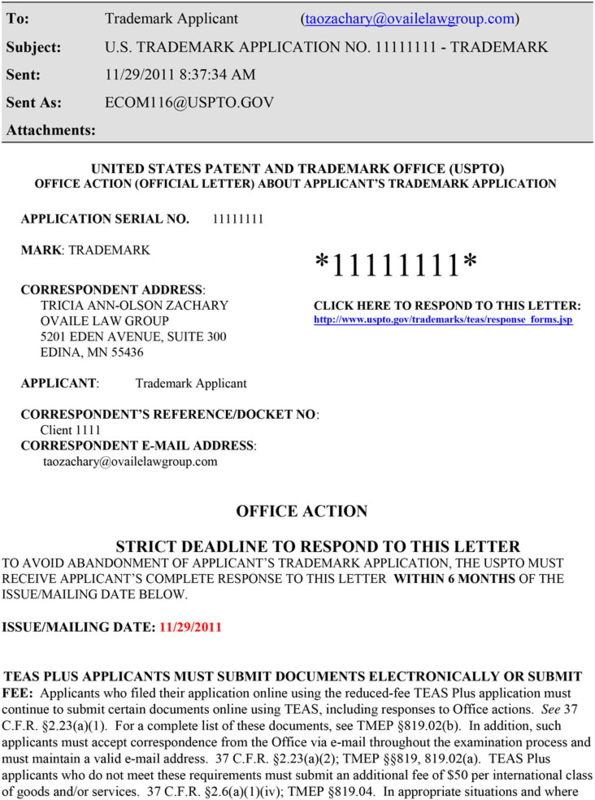 A USPTO trademark application covers only the United States. So if you want to trademark in other countries it’s a completely separate process and will drive up the cost of a trademark. It should also be noted that “a trademark is generally a word, phrase, slogan, symbol, or design, or combination thereof, that identifies the source of your goods and services and distinguishes them from the goods and services of another party. That is, a trademark lets consumers know that the goods or services come only from you and not from someone else.” As opposed to a patent which covers an invention or a copyright which covers original content. Those would be a different process from trademarks and incur different costs. If you were meaning to look up costs for a patent, click here to check out our patent cost guide. In addition to the initial trademark registration there are fees for continued use ($100 after 5 years) and renewal ($500 after 9 years) which are part of the long-term cost of having a trademark. Any enforcement of trademarks would also be additional and separate costs of having a trademark. An intermediate solution between registering a trademark yourself and using a lawyer is using an online legal service. For an online solution, we recommend either LawTrades or LegalZoom. Using an online legal service will save you time on the trademark search, it’ll put a presumably experienced, second set of eyes on your application, and maybe give you a discount on some of their other services and forms if you plan on using them. Search. If a “comprehensive” search is an additional cost it implies that the search they do is not comprehensive. And you or a lawyer might be able to do a better job. Feedback. One of the biggest reasons a trademark registration is denied is because it’s not distinctive enough, something a professional lawyer can give you advice on but is not part of the online legal packages. Complications. According to Upcounsel, as service to find lawyers, over 50% of trademark applications are rejected. If you’re likely to need a professional lawyer to deal with complications with your application you may just want to start with them. For a more complete look at online legal services checkout this article. The trademark cost of using a trademark lawyer can range from a flat rate of $500 to tens of thousands of dollars, with the typical cost being between $1,500 and $2,000. So the important thing to understand is what are the main drivers that affect to cost range, how to minimize the risk of the cost being at the high end, and understanding what you get for the money. The reason you’d probably want an experienced trademark lawyer include feedback on your trademark approach, professional search, professional completion of the application, and help in addressing any complications in the application process. According to a study at the University of North Carolina Law School, applications that were prepared by a trademark lawyer were 50% more likely to be approved than those prepared by the business itself. One of the main reasons for this that the trademark is not distinctive enough to establish a brand as unique. Based on their experience a trademark lawyer can give you real-world guidance on the business name, logo, or other trademark to make sure it passes USPTO on the first attempt. The USPTO application is not simple and requires supporting documentation to make it through the approval process. The format of your drawing needs to call out the right claims regarding color, fonts, application to be accepted and provide maximum protection. Your claims can’t be too broad nor too narrow. Having crafted numerous applications a trademark lawyer can help make sure all of the documentation related to the application are up to the task. 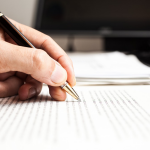 A trademark lawyer should be able to help with application complications in 2 ways. First, by doing a professional job in providing feedback on the initial strategy, doing a more comprehensive search, and doing a good job filling out the application and supporting materials, a trademark attorney should be able to help you avoid more complications in the first place than if you had done it yourself. Second, if a complication does happen and you get a rejection or Office Action sent to you a lawyer is going to be better equipped on how to respond. An Office Action is a form sent out when there is a problem with your trademark application. Generally speaking the trademark costs for a trademark lawyer come in 1 of 2 forms: flat fee + additional hourly fees or just straight hourly fees. In both cases you can expect hourly rates to range from $300 to $400 for a relatively experience lawyer. Ranges for flat fee trademark legal work can range from $500 to $1,000 or more plus the USPTO fees. The key controlling costs in this model is obviously preventing rework later. That means doing more work upfront yourself such as making sure your trademark is as distinctive as possible. The other driver is communication. The trademark lawyer is going to try and get through the process as quickly as possible. That means the more information you can provide them upfront the better. This can include your trademark strategy, e.g. what classes are appropriate or potential areas of conflict will help them do a better job given a fixed amount of effort. In addition to the drivers for the Flat+ model, the straight billable hours are going to be affected by the extensiveness of the trademark search and any complications. 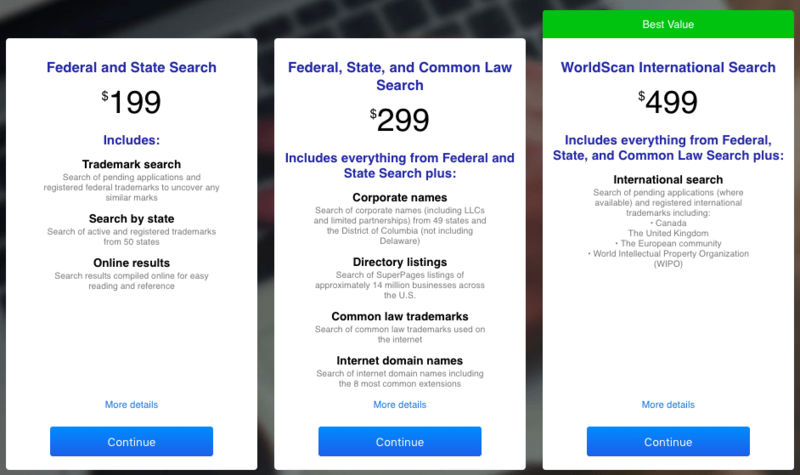 Most law firms subscribe to legal search software, such as Compumark, that is going to be more sophisticated than the USPTO’s free search tool. So be clear on how extensive you want the search to be upfront. This includes whether you need an international trademark which can push the legal fees from a couple thousand to tens of thousands. 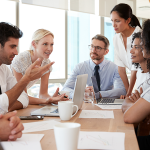 Another cost driver are any Office Actions which might arise. These are hard to predict but the usual amount of time a lawyer spends on responding to an Office Action is 4 to 8 hours. At $400 / hour that means each Office Action is likely to add $1,600 to $3,200 to your trademark costs. So bottom line: registering a U.S. federal trademark costs typically between $225 and $2,000. Based USPTO fees will be around $275 per trademark per class. An online legal service will add around $500 to that or using a trademark lawyer will add around $1,500 to the USPTO fees. Regardless of what method you use, you can keep costs down by having a strong trademark application which means it’s not a descriptive name such as Tasty Ketchup, not location based such Chicago Pizza, not generic such as Shoelaces, and not similar to existing marks such as Bob’s Greyhound Bus Line. If you need assistance with your Trademark, we recommend LawTrades. They have a team of expert trademark attorneys who will work with you to draft and file the necessary paperwork. Once you sign-up for LawTrades, you will be assigned a dedicated attorney who will provide you with expert advice and walk you through the filing process. If there is a company trade mark called Tree Trunk, and their goods and services is selling T-shirts and purses, is it acceptable to trade mark a name called TreeTrunk Online that actually trims and cuts trees? Would this be a name that will pass muster? I’ve done my home work but am still confused. The original Trademark is a Standard character mark, where as mine will be a Special form drawing with the word Online added and a different class of goods and services. Thanks in advance for your reply. You’re asking a legal question, and we’re not lawyers. You might consider getting your question answered by an attorney. Try RocketLawer. I paid an attorney $2500.00 to file a trademark for me about 3 years ago. I would periodically call to check up on it but he would tell me that no, it was not completed yet. on a few occasions he would tell me he would have to check on it and get back to me. after sometime the business wasn’t producing any profits so i really didn’t promote it too much but every few months or so i would call and still nothing. Just recently i decided to start up again and called this lawyer to ask where were we in this process and he said well ill pull out your file but it may have gone stale by now and we would have to refile and that would cost me more money!!!!! I’m not a lawyer and don’t know much about how they practice but is this wrong??? i paid him the money and I still have nothing to show for it. What was i supposed to expect from this lawyer? please advise. to find your application (serial) number and then to http://tsdr.uspto.gov/ where you can look at the “prosecution history” to see what has (or hasn’t) happened. Or get a referral to an experienced Tm attorney who can look at these and in a few minutes tell you what’s happened. Or look at the Nolo Press book on trademarks. I would like to register my trademark. I have already the logo and the name together. My question are : How much is your flat cost to register my trademark? What is the fastest way to get my trademark federally registered, if I already used the mark to sell goods or if I intent to sell my goods in the future ? We actually do not provide these services ourselves. We simply recommend to the small business owner which we feel is the best option. Sorry for the confusion! The process and pricing for filing a trademark outside the US is different than it is inside the US. I am not an expert on what the process would look like for outside the US. Sorry and best of luck! Thank you so much for this excellent article!